Add ‘Fate of the Furious’ to the Gallery Section? So, I work on the website Screencapped.net and because I love Paul and the Fast & Furious movies, I run that gallery over there. I capped Fate of the Furious when it came out on bluray and I’m just wondering if you guys would like to see the screencaps in the gallery here. Normally, I would not include them because Paul can no longer be in the movies, but since it’s part of his legacy and the Fast Family is his family, I thought I’d ask for your opinions and see if you guys would like to see the images here in our gallery. Please take a second to vote in the poll below. Thank you. Add Fate of the Furious to gallery section? His older brother was a Hollywood heartthrob tragically killed in a car crash in November 2013. But Cody Walker is helping to keep his brother’s legacy alive. The 28-year-old is set to touch down in Sydney this week to raise funds for Reach Out World Wide, a charity that Paul founded before his death. Cody’s arrival in Australia coincides with the premiere of Fast & Furious 8 – the franchise in which Paul starred and for which he is best remembered. According to The Daily Telegraph on Monday, Cody is set to attend screenings of the film in the Sydney suburbs of Warriewood and Narellan in order to raise ‘awareness and money’ for Paul’s charity. Reach Out World Wide is a charity designed to help accelerate relief efforts after the occurrence of natural disasters. ‘The whole idea behind Reach Out and why Paul created it was because natural disasters are occurring around us all the time,’ Cody is quoted as saying in The Telegraph. It is not the first time Cody has been Down Under. He was in the country for the premiere of Furious 7 in 2015, the last film in which Paul starred. After his sudden death, look-a-like Cody and another of Paul’s brothers, Caleb, stepped in to film action scenes for Paul. Caleb previously told Entertainment Tonight that he has spoken with franchise co-star Vin Diesel about if and when they may be able to bring Paul Walker’s character, Brian O’Conner, back for a cameo. Cody is also an actor, but it is unknown whether he may fill the shoes of Paul should the character make a comeback in a future installment. With over 1 million Instagram followers, Cody frequently shares old photos that show the close bond he shared with his brother, while many fans comment on the their likeness. The cast of The Fate of the Furious is remembering their late cast member, Paul Walker, during the press tour for the upcoming film. At the premiere of The Fate of the Furious on Saturday, Vin Diesel, Ludacris and the rest of the original cast remembered the actor. The co-stars revealed what it was like not having him around for the most recent installment and shared why this new film is from him to the fans. Diesel was more emotional when discussing filming the movie without his friend and co-star. “A lot of people go, ‘What’s it like making a movie without Pablo’ and that’s not the right question. The real question, he said, is “What’s it like living without your brother?” he said. Diesel named his daughter Pauline in honor of his friend. It is hard to ignore the character’s absence, so the eighth entry in the franchise does give a few nods to Brian that help the story progress from the last film and his character’s decision to part ways. The death of Paul Walker is still being felt by his “Fast and Furious” franchise costars. The latest installment, “The Fate of the Furious,” debuts in theaters Friday without its star. 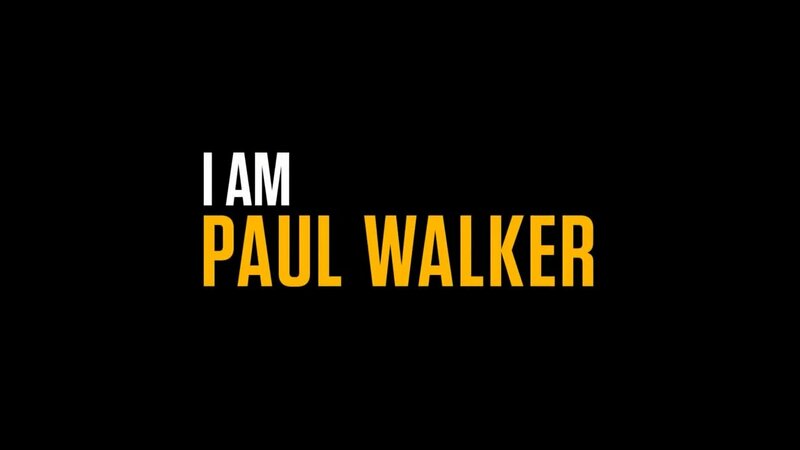 The crash, which was not connected to filming of the movie, also claimed the life of his racing team partner, Roger Rodas. Diesel named his daughter Pauline, now two years old, in honor of Walker. Costar Michelle Rodriguez said the death of Walker and his absence is the reason why the eighth film in the franchise is darker than the rest. Ludacris said the cast wants to honor Walker, who was more than just their costar. Paul Walker’s daughter Meadow has signed up with the modeling agency Women Management. The 18 year old signed her contract and she’s all set to become a model. Meadow has just five photos on Instagram and yet 1.1 million followers on her account. Meadow has been making sure that her father’s legacy remains intact. It would have been Paul’s 42nd birthday this year and she launched the Paul Walker Foundation. The aim of this project is to provide funds for people that work in the field of marine science. Last year, Meadow was granted a settlement of $10.1 million by the Roger Rodas estate. Roger Rodas was the one driving during Paul Walker’s tragic accident. Meadow have won her lawsuit filed against Porsche as her father Paul Walker died in a Porsche Carrera GT. Previously, a judge stated that they didn’t find the company guilty for a separate case that the Rodas’s family had brought into the court.